Amid concerns over the financial health of Jet Airways, the Civil Aviation Ministry Wednesday expressed hope that the airline, its strategic partner Etihad and lenders reach a "common plan" to deal with the situation. 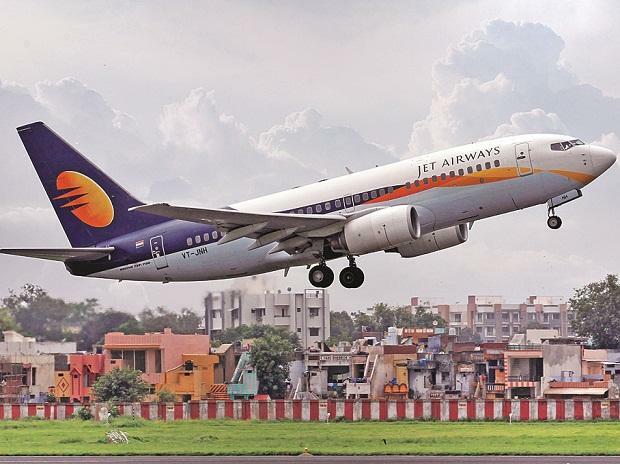 Jet Airways, which has also defaulted on loan repayments, is looking to raise funds and is in discussions with Etihad and lenders to chart the way forward. There is a proposal for Etihad raising its stake in the full service from the current 24 per cent. On a question on Etihad Airways reportedly seeking exemption over the open offer, Choubey said that the issue is being discussed amongst the promoters and the lenders. "We hope that the three -- Jet Airways, Etihad and the lenders -- come together and decide on a common plan," he said here. According to reports, Etihad might have to make an open offer in case it is hiking the stake in Jet Airways. "If any such thing (open offer exemption) is required, they will have to reach out to Sebi and it will take a call. That is something (open offer exemption) between Jet Airways, Etihad and Sebi. Government has no direct role in this," Choubey said. Under market regulator Sebi's norms, entities have to make an open offer in case their shareholding in listed companies goes beyond a certain threshold. When asked whether the ministry would recommend an exemption like it did in case of SpiceJet acquisition, he said "The ministry has not applied its mind on any (open offer waiver) application for recommending any waiver". Jet Airways defaulted on repayment of loans to a consortium of lenders. "Payment of interest and principal installment due to the consortium of Indian banks (led by State Bank of India) on December 31, 2018, has been delayed due to temporary cashflow mismatch," the airline informed the stock exchanges on January 1. The carrier has posted three consecutive quarterly losses of over Rs 1,000 crore each since March 2018.